Lots of Facebook updates covered in this post. One of the biggest ones is that Facebook merging Ads Manager and Power Editor into one tool for creating and managing your ads and campaigns. As each grew in capability it was getting unwieldy to use both together and I'm sure difficult for Facebook to maintain two platforms. There are many other changes to Facebook covered in the post. Worth a quick read. 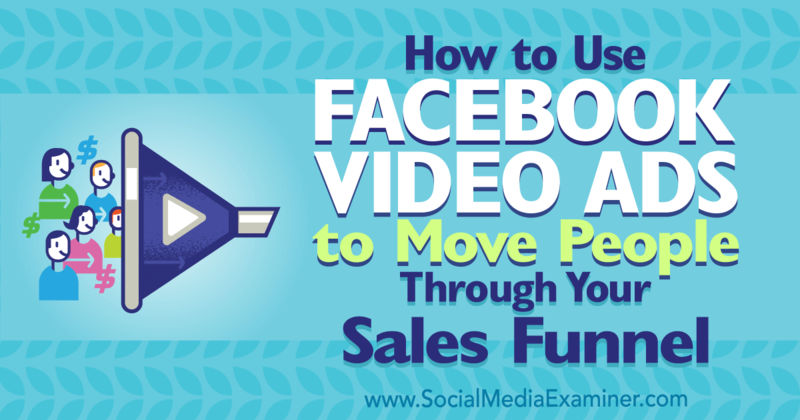 Good post with examples of how to use video adds at each step of your sales funnel. High-value content at the top, enticing opt-in content in the middle, and retargeting with focused content at the bottom. Examples of each are included in the post. A good list to add to your sources for free images. Many of these go well beyond the cliche well-dresse people in offices that give stock images a bad name. 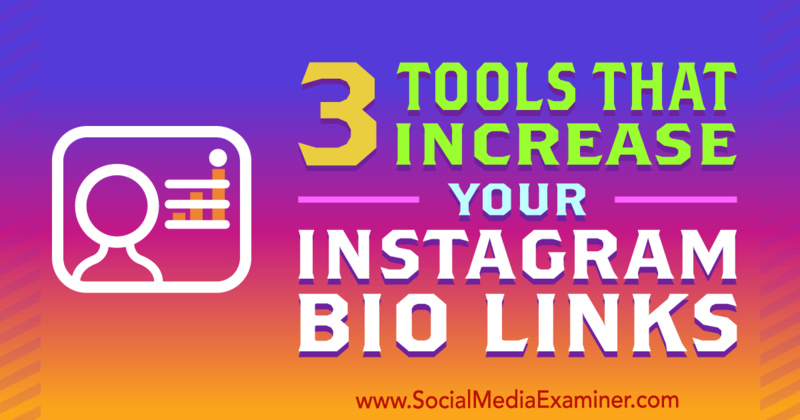 Three really interesting tools here. I am still an Instagram novice but I had been thinking about how best to use the one Bio hyperlink they give you. I had been thinking about building a custom landing page that I would update each week with the content I publish so that I could have my Instagram bio link always going to the same URL and I would either manually or automatically change the content of the page. I had been thinking about building a custom landing page that I would update each week with the content I publish so that I could have my Instagram bio link always going to the same URL and I would either manually or automatically change the content of the page. This article outlines three tools that basically let you do that without a custom page. They let you enter in a number of different links and give you a custom link you put in your Bio. I still might do my own page, but there are low cost, low effort options. In my mind, this is the most interesting things Facebook has rolled out in a while. Facebook Watch is all about enabling people, brands, and organizations to create consistent episodic content. Facebook Watch is surfacing as a new tab and there are a significant amount of “social viewing” features like groups linked to Facebook Watch shows, a live comment section for each episode, and more. Right now this is not open to anyone to create shows but will be soon they say. What I like about it is that it gives a dedicated space for higher end content. I imagine a lot of brands and especially online entrepreneurs in the content business will use Watch for their weekly shows and Facebook Live for their more ad-hoc content. That's my working plan for as soon as I get access to these features. Wirecast 8 is here! With a ton of new features and updates to make your live broadcasts (and life) even easier. We designed a ton of new tools just for you. Like new powerful new peer-to-peer conferencing, social media engagement features, iOS app, new audio capabilities and more! With tons of new features, we know you’ll love this new version as much as we do. I use Wirecast for my live videos in most cases with plans to do a lot more in coming weeks. 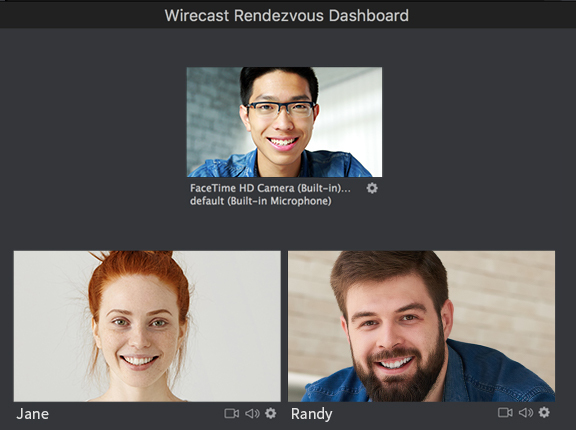 Wirecast 8 is a significant upgrade to the platform. The new version makes conferencing and interview formats much easier since it is built in. I'm a bit disappointed in the high bandwidth requirements for that given my bandwidth challenged home location so I probably won't be able to take advantage of that. Zoom is much better from that perspective. The Facebook Live commments integration and multi-viewer I will definitely be using. I just got a cheap 55″ 4k television I'll be using as my multi-view monitor. I've also noticed that version 8 seems a bit faster, smoother transitions, and some other fit and finish improvements.